The Government Blockchain Association (GBA) has two Blockchain professional certifications and Blockchain Developer courses. This credential is available to any GBA civil servant, professional or corporate member* and non-member**. Each certification requires the student demonstrate proficient knowledge and comprehension according to the learning objectives of each course. Each day, the training is a mix of traditional course material delivery and hands-on service design workshops where attendees will break out into working sessions and apply the lessons taught. Attendees will design and develop solutions to real-world uses cases and projects. Project scenarios can come from attendees current challenges or a scenario can be provided as needed. The required courses and registration details are listed below. The Blockchain Foundations course may result in 5.5 Continuous Learning Points being awarded to US Government Employees when coordinated through the GSA. Contact Sandy Barsky for more details. GBA licenced training partners also offer developer training using several technology platforms. Those courses are listed below also. However, they are not required for a consulting credential. Courses are available at GBA chapters around the world. Please check with your local chapter lead to learn more. Please click on the cities below to see the details. * Members Only. Discounts on special events including $100 per day discount on all training. 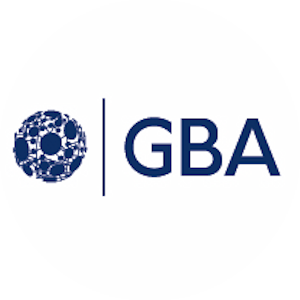 The GBA Certified logo is provided for personal professional credentials and a listing in the Certified Professional Member Directory on the website. ** Non-Member. The GBA Certified logo can not be used, nor will the recipient be listed in the GBA Certified Member Directory. Become a member today to receive Members only discounts and benefits. If you are interested in hosting a Certified GBA Curriculum with the GBA Training team, please submit an approved training request.